As I read CFED’s new book What It’s Worth, I asked myself those questions—questions that families across Hawai‘i continually ask us in our work as community practitioners. These are deep questions, and while these families understand the need to be financially capable and literate, they also push us to expand our definition of wealth and worth. Families in Hawai’i explain to us that wealth is measured in more than just financial ways. It is the nourishment we get from the food that is grown, the water in our streams, our relationships with family and friends, and the cultural, spiritual, and religious practices that keep us connected and grounded. How then do we integrate these things into the important conversations of financial capability? 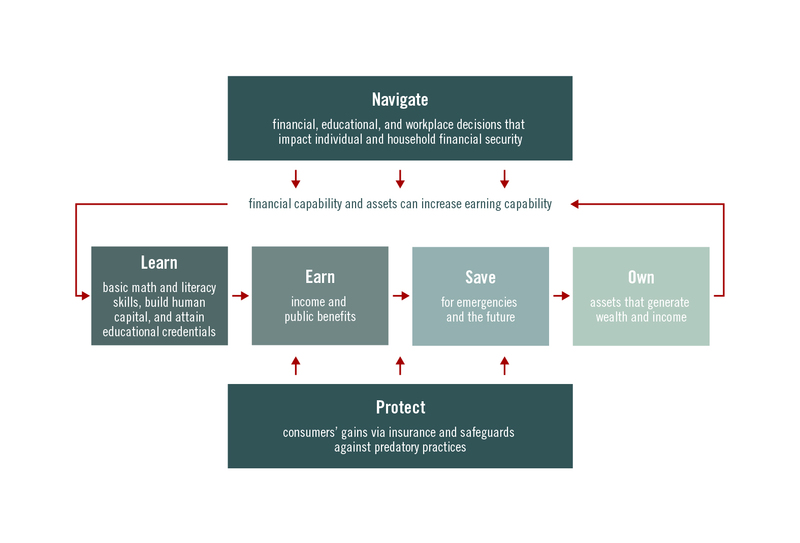 Andrea Levere and Leigh Tivol of CFED lay the foundation for the book in their essay “How the Road to Financial Security is Paved with Financial Capability,” and write, “financial capability promotes financial well-being,” which equates to feelings of control over finances, financial resiliency, ability to meet financial goals, and freedom. If we take out any reference to finances, we have a recipe for general well-being: feelings of control, resiliency, ability to meet goals, and the freedom to make their own choices. How do we integrate our beliefs into an economy that is focused on insatiable growth and complex financial instruments and systems? Building on CFED’s comprehensive model of ‘learn, earn, save, and own,’ families in Hawai‘i are proud of how we share. And this is not unique to Hawai’i, as indigenous and rural communities around our nation and the world have survived for millennia this way, and is reflected in the explosion of Uber, AirBnB, and other platforms that promote the Sharing Economy. These companies are tapping into cultural traditions that are founded in basic communal practices that were required for everyone to survive–reliance on our families, our tribe, our local community. In terms of financial capability, Jose Quinonez of Mission Asset Fund, explains in the article, “Latinos in the Financial Shadows” how they found a way to lift up common cultural practices around communal, peer-to-peer lending to create its Lending Circle platform. It is now a platform that melds technology with tradition and as such is very effective in supporting families where they are. Elsie Meeks from Lakota Funds, and Lisa Hasegawa and Jane Duong from National CAPACD discuss the challenges that native, Asian American and Pacific Islander communities face as they try to navigate these complex systems in two articles entitled: “The Lakota Funds Story: How Indian Country is Building Financial Capability” and “Financial Insecurity in Asian American Pacific Islander Communities: An Untold Story of Racial Wealth Inequality”. More importantly, they demonstrate the steps their communities have taken to navigate our modern financial systems with the help of organizations such as theirs, the Council of Native Hawaiian Advancement, and others that serve as intermediaries. It is proof that we need more entities to serve this function—a sort of translator that is connected to our past and present, with an eye toward the future. These entities not only translate the current system to our communities and build their capacity (financial capability in this case), but also bring to the table what their families are saying to advocate for changes that would connect these systems to our ancestral approaches. We need to stay connected or reconnect to elders in our communities to shift the system in ways that lift up, reintegrate, and in some cases, return to ancestral practices that ensured people felt in control of their lives, were resilient, met the goals they had, and made their own choices. These practices, which are ways of life, inherently recognized the worth of our land, our water, our communal relationships, our cultures, our futures, and ourselves. (Photo credit: Hawaiian Homestead Farmers Market, by ClarkRealty via flickr, CC-BY). The article stirred me up about some things I have mulled over for a while: the push by HUD to relocate minorities (read: people with cultural differences) to “high opportunity neighborhoods” — away from their grassroots relations and “elders” who can provide some of what Brent refers to in this article. Away from some of the “wealth” that comes from the family heritage and the traditions that solidify — and not just by dollars and sense criteria. I also look forward to more on the “learn, earn, save, and own” program, especially the earn part where we move the folks from not being counted onto the unemployed roles because they are now able to qualify for jobs, and eventually into being the productive members of their communities so they will be able to pass along many lessons learned — and their heritage — to the younger community members.